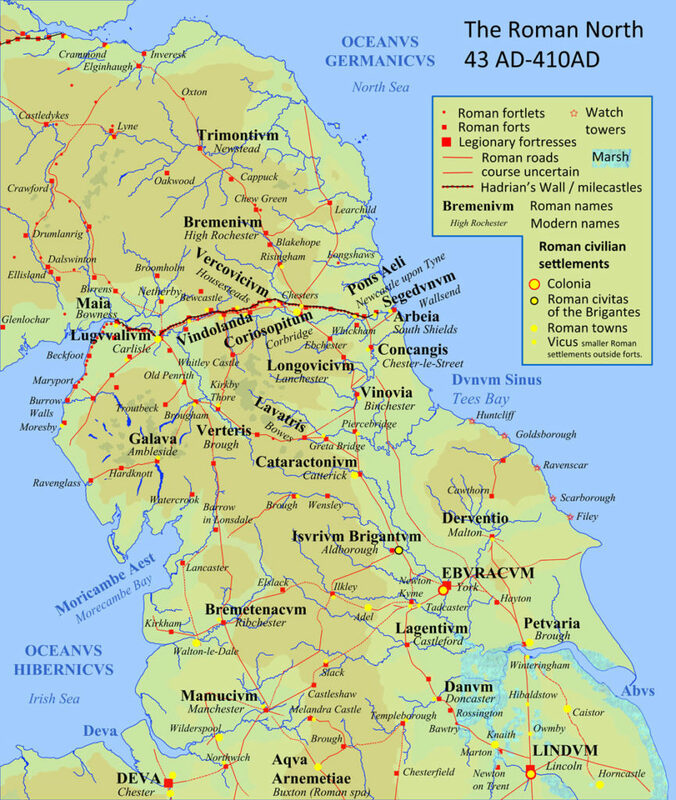 While Ancient Britons opposed the Roman takeover of their country, they were left without protection when Rome’s legions actually left Briton around 410 A.D. This image depicts a drawing by Joseph Martin Kronheim, from 1868, which imagines how Britons may have reacted when Rome’s legions first arrived in the province which Rome called “Britannia.” It appears as Plate III in a book called Pictures of English History: From the Earliest Times to the Present Period published, in London, during 1868 by George Routledge and Sons. Image online via Wikimedia Commons. When Rome left its province of Britannia, after nearly four centuries of imperial rule, the native population had little protection against intruders. Between the time of Rome's conquest (in 43 A.D.), and its departure (in 410), the empire's forces were responsible for maintaining law and order. One can only imagine the power vacuum which developed after Rome's legions left. Who would rule? Whose troops would defend the people and their land? Rome itself had experienced difficulty keeping out intruders along the northern border. First a road (the Stanegate), then a wall (Hadrian's), proved ineffective. What could native Britons do? After thirty years (or so) had passed, the Brits (a Celtic people who inhabited the country known today as England) were forced to seek help outside their own boundaries. Scholars believe Britons living in Ceint (today's Kent) hired German-Danes from Angulus (the Angles) and Germans from Saxony (the Saxons) to provide mercenary services. Those were the "Dark Ages." One reason for that description is the lack of written source materials. Few unbiased contemporary records remain (or were ever created). Although we are "in the dark" about much, we do know from Gildas (a monk who wrote The Ruin of Britain [De Excidio Britanniae] in approximately 540) and later from Venerable Bede (an 8th century monk, living in Northumbria, who completed his Ecclesiastical History of the English People in 731), that Britons sought assistance from foreigners to help them resist intruders. They paid for those services with some of their own land. The barbarians push us back to the sea, the sea pushes us back to the barbarians; between these two we are either drowned or slaughtered. When Aetius provided no assistance, the Britons invited the Angles, Saxons and Jutes to help. Had those early Britons envisioned what could happen when mercenaries (invited or not) reached their shores, perhaps they would have looked elsewhere (or nowhere) for help. One thing is certain: Invited foreigners, who became invading intruders, forever changed Britannia and her people. Bos, Carole "ROME LEAVES A POWER VACUUM" AwesomeStories.com. Nov 01, 2007. Apr 26, 2019.